Pininfarina will bring the new Battista hypercar and a 1955 Lancia Aurelia to a Goodwood members’ meeting, according to Carscoops. The two cars have nothing in common but the fact that they were both designed by Pininfarina. It will be an interesting pairing to see the cars together, though. It will also mark the Battista’s UK debut. 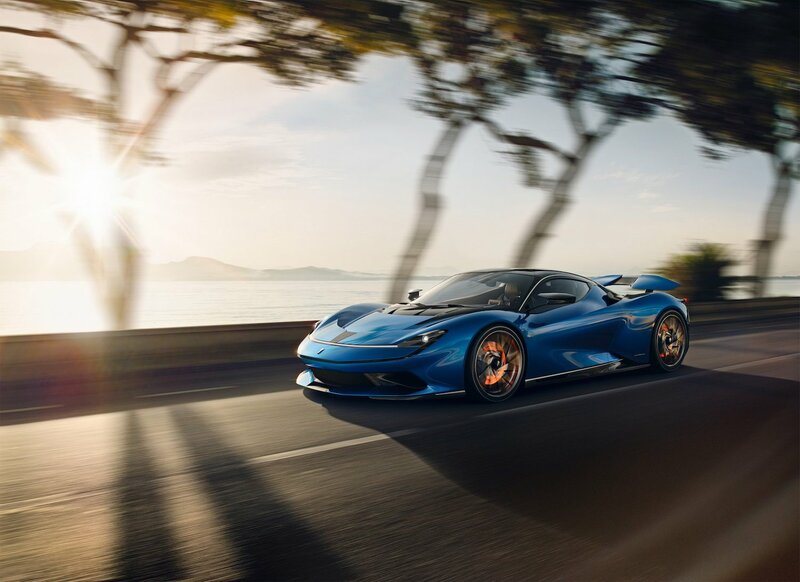 The event showcasing the Battista will be attended by some of Goodwood’s most famous names, including Formula E driver Nick Heidfeld. Heidfeld was the man behind tuning the Battista. He also holds the fastest time up the famous hill climb. Rene Wollmann who worked on the Mercedes-AMG One will be there as well as many other big names. Unfortunately, the car will only be on static display. It won’t make a run of the famous course and everyone will have to wait to see it in action. That’s a shame because the Battista is an amazing force to be reckoned with. The car uses a Rimac-sourced battery and four electric motors that put out a combined 1874 hp and 1696 lb-ft of torque. It can reach 62 mph from a standstill in under two seconds and 186 mph in under 12. With stats like that, we’re absolutely dying to see it take on a track.